The episode will air Friday evening in Iowa. 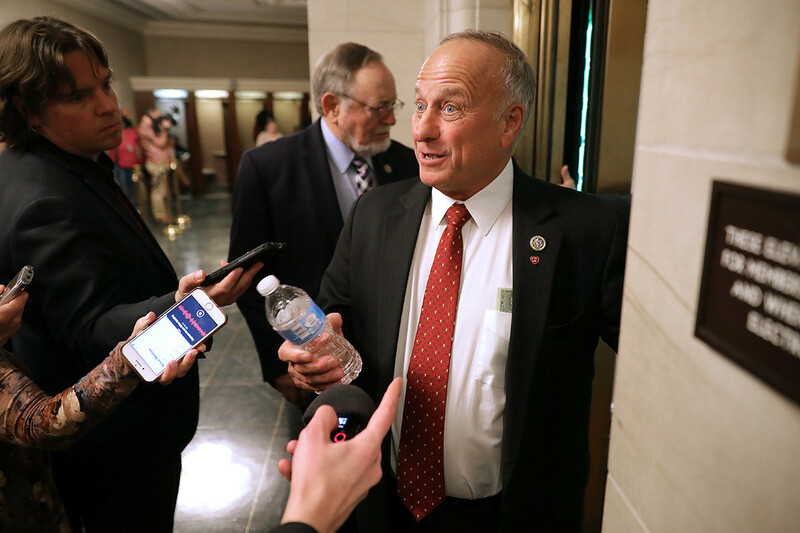 Republicans and Democrats in the House also approved a rare resolution on King's statements on white supremacy and white nationalists. In addition, he was removed from his committee assignments on Capitol Hill. King, however, claimed on Thursday that he was concerned about losing his seats because of Democrats currently controlling the House. going to be a time not to have committee assignments, this time with Nancy Pelosi as the speaker of the house is the time, ”he said, according to The Register. Despite the public backlash nationally and from his colleagues, King said he would continue to seek reelection in 2020 for his 10th term. Three Republicans have already announced their candidacy to run against him in the primaries. "Don't let the elitists in this country, the power brokers in this country, tell you who's going to represent you in the United States Congress," King said.